News Archives - ZYP Coatings Inc.
NovaMix HC powder performs almost as well as our ready-to-use coating equivalent, BN Hardcoat-CM. NovaMix LC performs almost as well as our ready-to-use coating equivalent: BN Lubricoat. This will save cost in shipping and will avoid freezing. Easily made into paint by the user. Secure the lid. Shake vigorously for 30 seconds. After shaking, a drill mixer can be used to further blend the paint until uniform. This product ships with a two gallon pail or just the powder can be ordered. 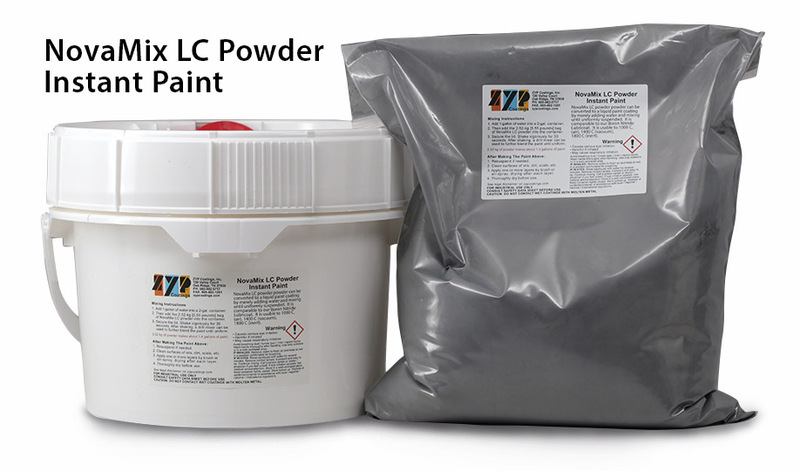 Learn more about NovaMix LC powder. 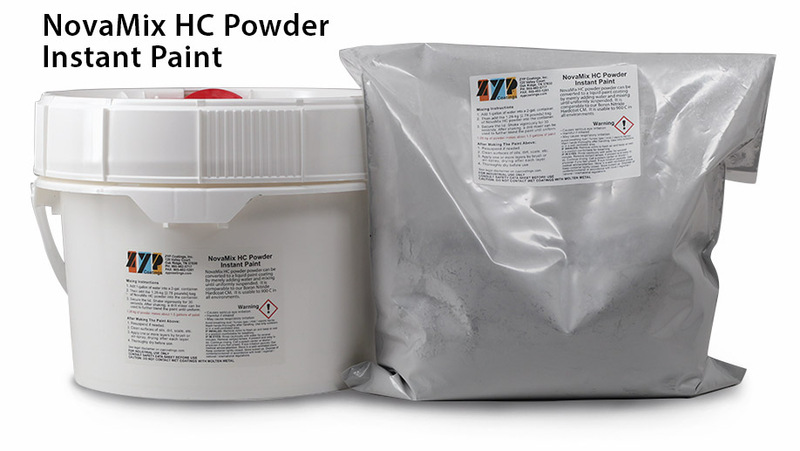 Learn more about the Nova Mix HC Powder. ZYP Coatings has a new look. We have added a two story office building. ZYP Coatings recognizes the value of hiring people with disabilities. Perfect for easy release of dental alloy castings using ceramic crucibles/molds or graphite/glassy-carbon liners. 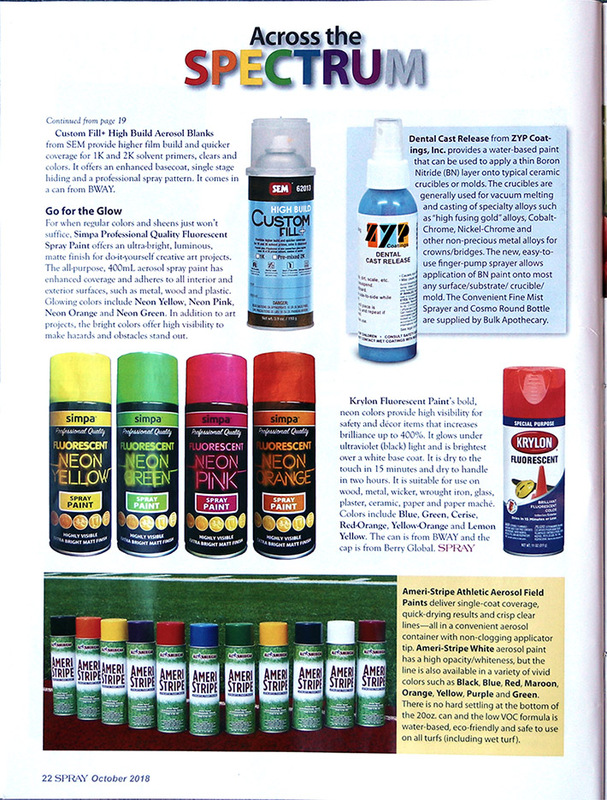 This new easy-to-use finger-pump sprayer allows application of BN paint. 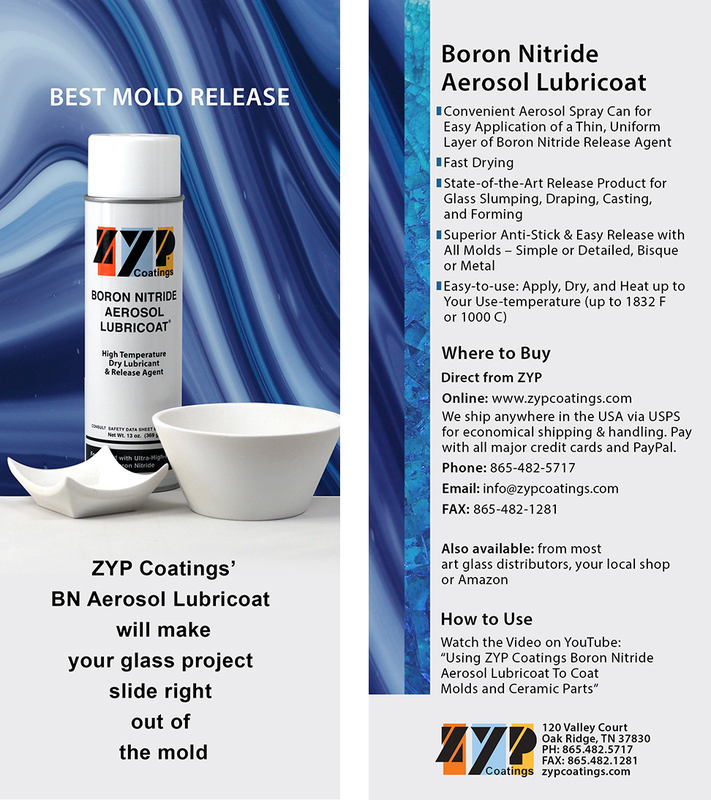 YouTube: Using ZYP Coatings Boron Nitride Aerosol Lubricoat to Coat Molds and Ceramic Parts. 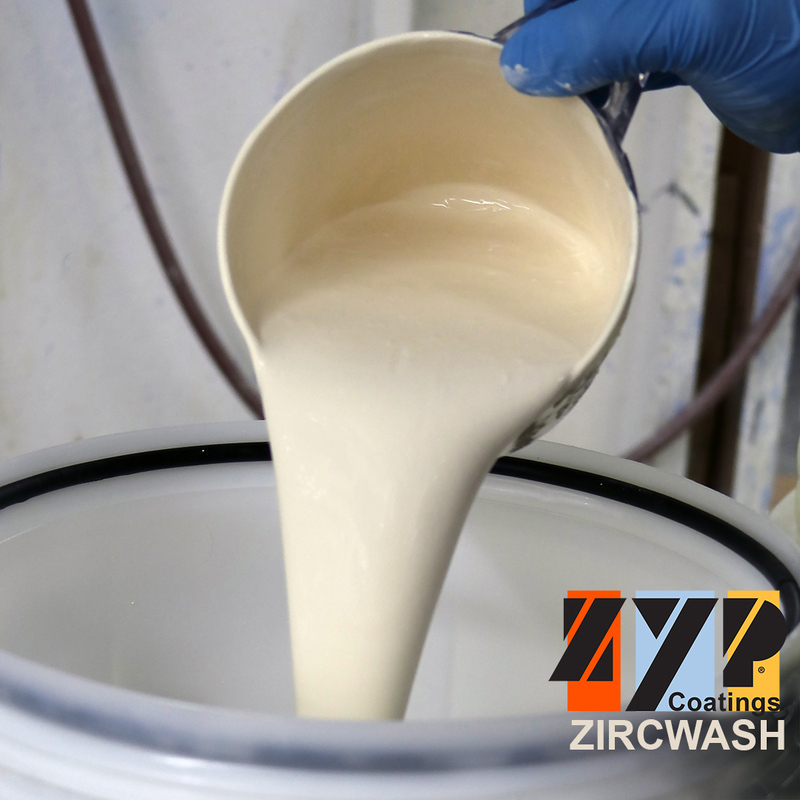 Zircwash is far superior to Zircon (Zirconium Silicate) coatings for melting/casting operations because it contains no silica. 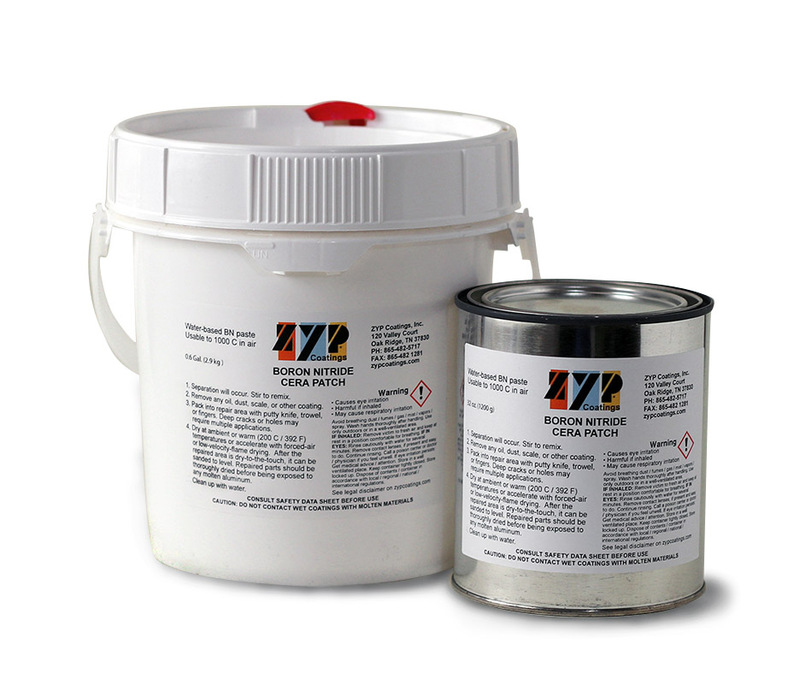 It is a water-based paint that yields a low-to-medium-hardness coating that is 97% Zirconium Oxide and 3% Aluminum Oxide after heating to above 600°C (1112°F). Easy-to-use coating that can be used to 2000°C (3632°F). Maskote Zinc Stop-Off is one of our best and fastest selling coatings. Here it is ready to ship our in 5 gallon containers. This coating is a specially formulated solvent-based paint that withstands normal alkaline and acid-cleaning operations before galvanizing and then, with galvanizing, masks off the coated areas and prevents zinc-steel alloying. 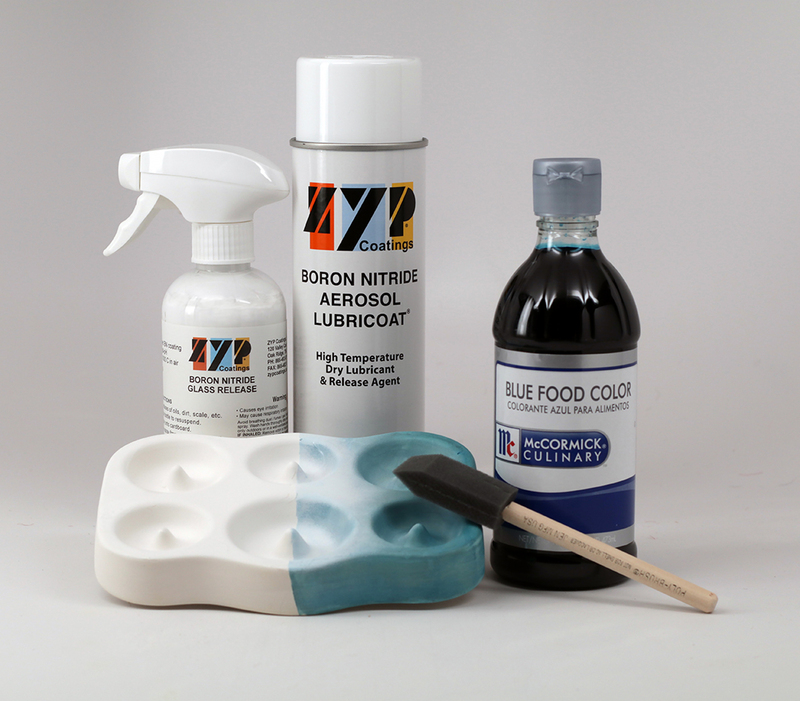 Another coating that you will cause you to “Think Blue, Think ZYP”. 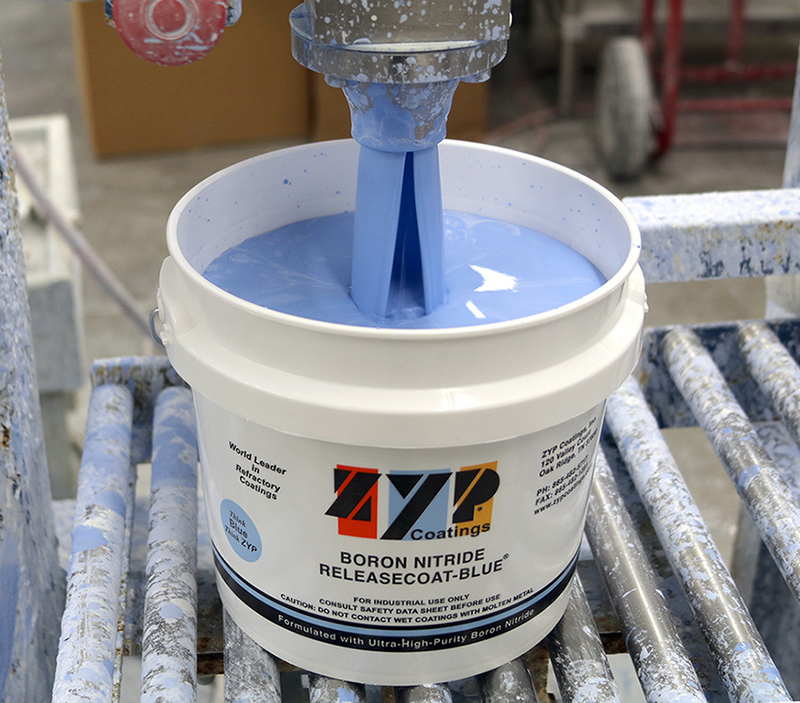 BN Releasecoat-Blue is a relatively-soft, washcoat-type of coating with a lower BN content which still provides excellent nonwetting and release with aluminum, magnesium, zinc and other nonferrous metals and alloys.